Nuclear Weapons, the Vietnam War, and the "Nuclear Taboo"
Washington, D.C., November 30, 2017 – U.S. presidents sometimes made nuclear threats in the course of Cold War crises and confrontations, but powerful social norms – not just military considerations – inhibited them from initiating the combat use of nuclear weapons, according to declassified documents posted today by the nongovernmental National Security Archive. From President Harry S.Truman forward, the record shows, U.S. commanders-in-chief have been sensitive to what is sometimes referred to as the nuclear taboo – the recognition that atomic weapons belong to an entirely different category from conventional armaments and that their use would open up “a whole new world,” in the words of President John F. Kennedy. Many other leading figures held similar views, conditioned by an aversion to the horrific effects of nuclear weaponry as well as by the impact of ethical concerns and global public opinion. However, past experience also indicates that the taboo has not constrained everyone, including military officials who developed plans for the possible first-use (preemptive strikes) of nuclear weapons. With growing international concern today over the possible resort to nuclear means in connection with tensions over North Korea’s growing capabilities, it is instructive to look at the record of the Cold War and immediate post-Cold War period to see how U.S. presidents and senior government officials thought about the problem. Today’s posting of CIA, State Department, and other materials covers the era from the 1940s to the 1990s including events from the Cuban missile crisis and the Vietnam War. Several years earlier, President Dwight D. Eisenhower made a similar point when speaking with British Foreign Secretary Selwyn Lloyd during the 1958 Taiwan Strait crisis, when the Chinese were shelling Taiwan’s offshore islands. Lloyd reported to the Foreign Office that Eisenhower said that nuclear weapons could not be used for a “purely local tactical counter-battery task. If nuclear weapons were to be used that should be for the ‘big thing,’” that is, general nuclear war. According to Lloyd, Eisenhower said “when you use nuclear weapons you cross a completely different line.’” Eisenhower had come to office rejecting the idea that nuclear weapons use crossed any line, but his thinking had clearly changed. 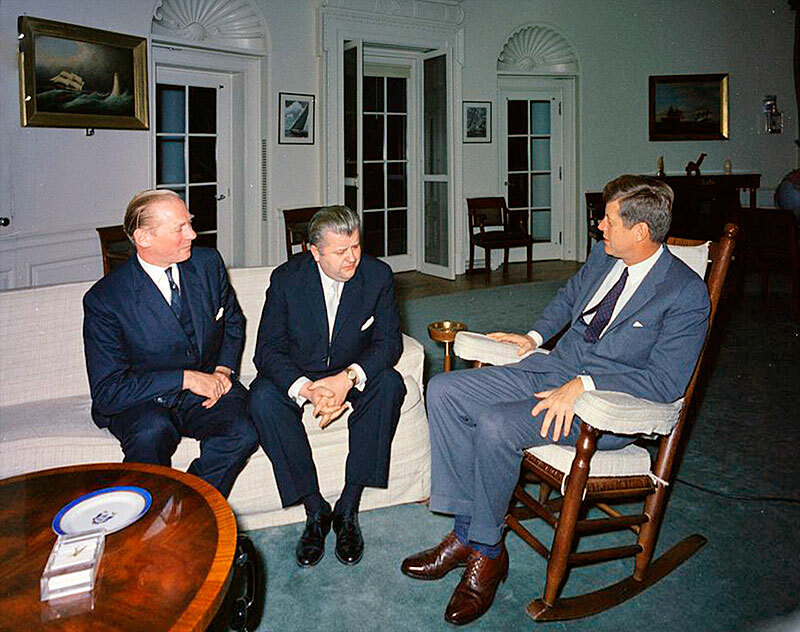 When Kennedy spoke of a “whole new world” and Eisenhower of crossing a “completely different line,” they were intimating the existence of a taboo that constrained presidents and policymakers from first use of nuclear weapons. That the U.S. has not used nuclear weapons since 1945 was not simply because of deterrence (avoiding retaliation), although that was involved. 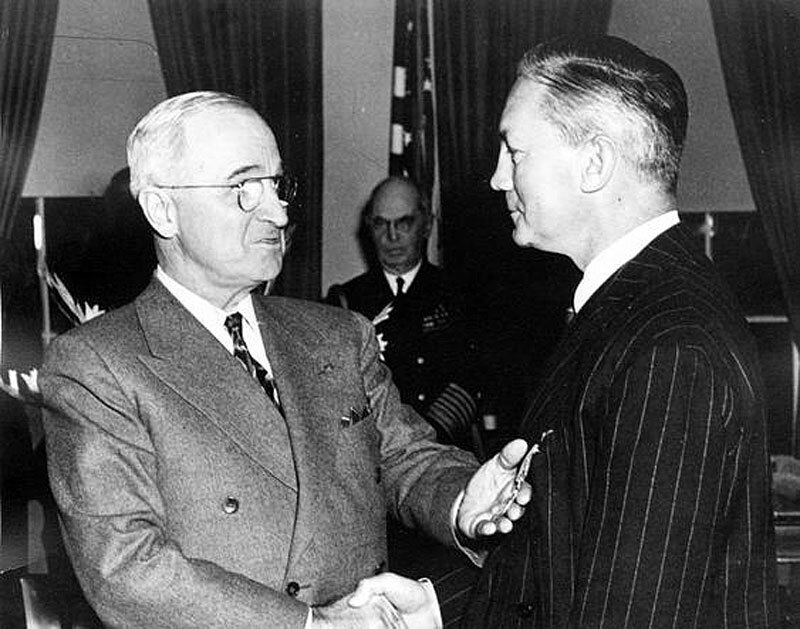 As Nina Tannnenwald has demonstrated in her pioneering work, beginning with President Truman, after the atomic bombings in August 1945, presidents and their advisers “internalized a sense that nuclear weapons were ‘taboo’ and ‘fundamentally unusable’” because of the terrible dangers associated with using them, including their disproportionate effects, the peril of radiation poisoning, and the threat they pose to civilian populations. Like taboos generally, the nuclear taboo is a “prohibition” involving penalties of terrible consequences if violated. Establishing a clear demarcation between using conventional and nuclear weapons, the nuclear taboo is a “bright line norm: once the threshold between use and non-use is crossed one is immediately in a new world.” According to Tannenwald, the first atomic bombings and growing public awareness of the danger of nuclear weapons, along with the ethical concerns of decision-makers, helped produce a taboo, which operated as a constraint on nuclear weapons use during the Cold War and subsequently, e.g. the 1991 Persian Gulf war. Even top officials who had no moral qualms about using nuclear weapons use felt constrained from using them, not only because of the risks, but their perception that global public opinion would turn powerfully against the United States. The nuclear taboo that U.S. civilian leaders have observed did not rule out nuclear retaliation in the event of a nuclear attack. Nor did it rule out the use of nuclear threats, which in particular were part of the playbooks of the Eisenhower and Nixon administrations. Furthermore, the taboo did not extend to many military leaders who believed that nuclear weapons were especially usable for targeting the nuclear weapons and delivery systems of adversaries lest they destroy the U.S. nuclear arsenal. Accordingly, Air Force leaders and others presided over contingency plans that during the 1950s and 1960s included options for preemptive attacks (virtually first use), and by the 1970s, for launch on warning of attack. Yet, the story is complex because taboo ideas were part of the thinking of the military leaders who rejected nuclear options during the 1990-1991 Persian Gulf War. More needs to be learned. That mini-nukes proposals are back under consideration has implications for the nuclear taboo and the threshold for using nuclear weapons. Recent reports suggest that the Trump administration is interested in very-low yield nuclear weapons on the grounds that existing tactical weapons are too destructive to be used. This development has raised apprehension that the White House wants to make nuclear weapons more usable. Whether the Pentagon has in mind the 10- or 100-ton yield weapons envisaged in 1991 remains to be seen, but according to former State Department official Alexandra Bell, "Lawmakers should be very wary of any attempt to reduce the threshold for nuclear use. There is no such thing as a minor nuclear war." Whether the nuclear taboo still has traction has been questioned in a recent study by Scott D. Sagan and Benjamin A. Valentino. On the basis of a survey experiment using questions about hypothetical conflicts and alternative military tactics, they concluded that if a U.S.-Iran conflict broke out, U.S. public opinion would prefer nuclear attacks on Iran to a ground war involving U.S. military casualties, even at the cost of a high level of large Iranian civilian losses. Republicans, older people, and women were more supportive of the nuclear option than Democrats and younger people. According to Sagan and Valentino, “public opinion is unlikely to be a serious constraint on any president contemplating the use of nuclear weapons in the crucible of war.” If that is so, nuclear taboo thinking may nevertheless persist among military and civilian defense officials, who might be more reflective on the perils of nuclear use and less influenced by the vicissitudes of U S. public opinion. Moreover, U.S. official thinking about nuclear use has historically been influenced or constrained by world opinion, which today, as indicated by the recent Nuclear Ban Treaty, is substantially opposed to nuclear weapons and nuclear use, although that might not matter to an administration that devalues international opinion.
. Eden, “The Contingent Taboo,” 833.
. For nuclear threats, see William Burr and Jeffrey Kimball, Nixon’s Nuclear Specter: The Secret Alert of 1969, Madman Diplomacy, and the Vietnam War(Lawrence, KS: University Press of Kansas, 2015).
. On this point, see Eden, “The Contingent Taboo,” 831-837.
. For the Gulf War, see Tannnenwald, The Nuclear Taboo, 294-326.
. Bryan Bender, “Trump Review Leans Toward Proposing Mini-Nuke,” Politico, 9 September 2017.
. Scott D. Sagan and Benjamin A. Valentino, “Revisiting Hiroshima in Iran: What Americans Really Think about Using Nuclear Weapons and Killing Noncombatants,” International Security 42 (2017): 41-79.
. Quoted in Tannenwald, The Nuclear Taboo, at 111.
. Qoted in Tannenwald, The Nuclear Taboo, at 150.
. Cited in Matthew Jones, After Hiroshima: The United States, race, and nuclear weapons in Asia, 1945-1965 (New York: Cambridge University Press, 2010), at 377.
. For McNamara’s advice, see Tannenwaldt, Nuclear Taboo, at 208. Apparently concerned by North Korean military moves near the Demilitarized Zone, Secretary of Defense Schlesinger told the New York Times that the United States could use nuclear weapons in the event of a North Korean invasion of the South. During a press conference, Ford avoided a question about whether the United States would use nuclear weapons first in the event of a new Korean war. See Jack Anderson and Les Whitten, “Risk of Nuclear War in Korea Hinted: The Washington Merry-Go-Round,” Washington Post, 19 June 1975; John W. Finney, “U.S. Says Russians Now Have Deployed 60 MIRV Missiles: U.S. Says Soviet Has Deployed 60 MIRV Missiles,” New York Times, 21 June 1975; “Might of U.S. Deterrent Force In South Korea Is Cited by Ford,” New York Times, 26 1975.
. Tannenwald, The Nuclear Taboo, 282-283.